BERTIL VALLIEN "Glass offers opportunities like no other material. It has everything. For me, the blowing room is the centre of everything. It’s like ladling matter out of a volcano and watching the glowing lava turn to ice. Knowing the exact moment at which to capture a shift of light or expression and wrench the secret from the glass is what it’s all about." 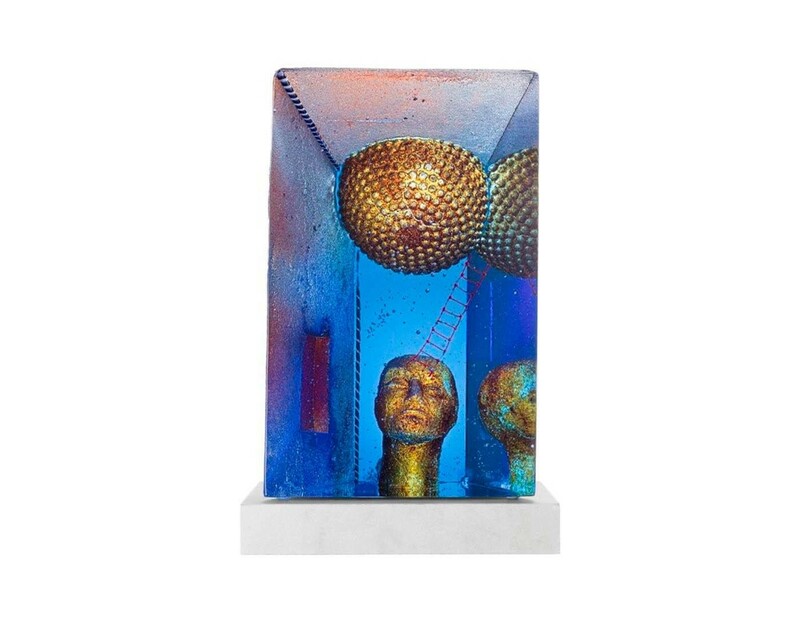 Bertil Vallien is by far the most internationally celebrated glass artist and designer in Sweden. He has received numerous awards and his work is well represented in leading museums around the world. He works in a mythical, dream-like world of symbolic imagery. He undertakes what he himself describes as a never-ending research quest, in close cooperation with his co-workers, at Åfors glassworks, several of whom have worked with Vallien for decades. Bertil Vallien is known most of all as the master of sand moulding. His solid, deep-blue, four-meter-long ship has become part of modern glass history. His creations include Château, one of the best-selling ranges of handmade glasses over the years.